Translated from the Norwegian 1999 Fjeld biography at BMG Norway. Some later updates and explanatory remarks for non-Norwegian readers have been inserted in the text. See also the official Jonas Fjeld web site. "The perfect symbiosis of good songs and beautiful acoustic sound." Since he started in music almost 40 years ago, Jonas Fjeld has done everything from crazy comedy to heartfelt love ballads, from rough contry rock to successful variety theatre with [Norwegian poet, writer and singer] Ole Paus. Jonas Fjeld has seduced his listeners with an inspiration that comes from deep inside the roots of his heart and spreads like warm vibrations to the surroundings. From Texas to [central Oslo area] Grunerløkka, the melancholic and passionate Jonas Fjeld draws a landscape that is his and his alone. A landscape that may be dark as the river running his through his home town of Drammen, but also light as the tracks in the snow after the angels have raised up and flown away [a reference to the song "Angels in the Snow"/ "Engler i sneen", written by Ole Paus and later released in an English version on Danko/Fjeld/Andersen]. There is a rare intensity in his interpretation of lyrics. He conquers them and makes them his own. Big enough for him, and big enough for us [referring to Fjeld's brilliant 1989 album Svært nok for meg (Big/Tough Enough for Me)]. Jonas Fjeld [aka Terje Jensen] started his career listening to the radio and records as a child in Drammen. At the age of 14 he did his first public performance with a friend at the local church. Naming themselves You and Me, they sang the Monkeys' "I'm a Believer" for an unsually believing audience. Inpired by Ian Anderson of Jethro Tull, Jonas started his studies of flute playing. At an early stage he played the flute in Norwegian radio and later joined more or less local bands like the Ivy Group, Frosk [Frog], Kristoffer Børs and finally the group that gave him his artist name, inspired by a hero from a string of classic Norwegian detective stories, the Jonas Fjeld Rock'n Rolf Band. Guitarist and singer Fjeld and [musician and later stand-up comedian] Herodes Falsk created some of the wildest, craziest shows ever performed on Norwegian stages. That time is over. So are the years of tiresome travelling from dance hall to dance hall along rural Norwegian roads. In order to survive, Fjeld and his gang had to rehearse and perform the most hopeless of dance tunes, under the name Morten Morells. But there was a light at the end of this dark musical tunnel. 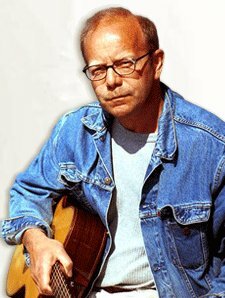 Rumors about the unique guitarist and musician Fjeld started to spread, and, inspired by cult hero J.J. Cale, he was searching for his own expression. He recorded albums both in Nashville and in Norway, forgotten records that are among the finest in Norwegian '80s rock music. Finally, after twenty years on the road, Jonas Fjeld found a larger audience with the album Svært nok for meg. This CD marked the start of the fruitful collaboration between Ole Paus and Jonas Fjeld. Paus wrote all the lyrics, and his poetic universe was tailor-made for Fjeld's voice. 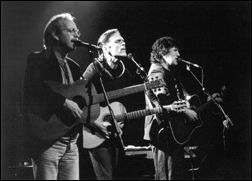 In the '90s Fjeld had success together with Rick Danko from The Band and New York legend Eric Andersen, with the release of two critically acclaimed trio albums [Danko/Fjeld/Andersen and Ridin' on the Blinds] that have stirred up attention also in the US and Japan. At home, Fjeld and Ole Paus' very popular "To rustne herrer" [Two Rusty Gentlemen] project has resulted in sold-out shows and two spirited albums full of laid-back humour. In the spring of 1999, Jonas Fjeld released Jonas Fjelds Beste, a summary of the best of the music so far. 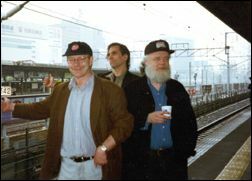 He toured Norway in May 2001 with Garth Hudson, Eric Andersen and Eric's daughter Sari as Hudson/Fjeld/Andersen, promoting the 2-CD set One More Shot, a re-release of Danko/Fjeld/Andersen that came with a bonus D/F/A live CD. Jonas' latest releases are 2001's Tidevann -- with a guest appearance by Garth Hudson and a beautiful Rick Danko tribute song titled "Rick" -- and the low-key Mårrakvist album from 2005. The critically-acclaimed live album Amerikabesøk ("Visitors from America"), recorded around Christmas 2005 in Drammen with bluegrass band Chatham County Line from North Carolina, was released in February 2007, followed by a tour in March. When asked about how he plans his career, Jonas Fjeld answers: "I try to be honest and follow my gut-feeling."